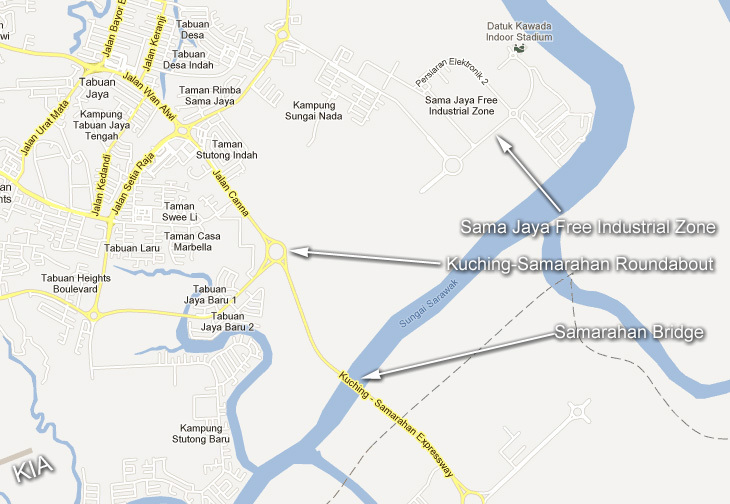 Sama Jaya Free Industrial Zone in Kuching is a hub for solar industries. 813 hectares of prime industrial land, fully serviced with all necessary infrastructure, offering to investors at a low price of RM2.50 per square foot. This was in line with Sarawak being identified as a focus region for the cluster development of the electrical and electronics industry, one of the Malaysia National Key Economic Areas (NKEA). Sarawak government would look into providing incentives to attract qualified Sarawakians who are working abroad to return to the state to meet its manpower requirements. Sarawak Corridor of Renewable Energy (SCORE) would need highly-trained and highly-paid professionals for its industries. Sama Jaya Free Industrial Zone attracts major multinational technology companies wanting to build manufacturing operations. Processes ranging from silicon wafer foundry to circuit semiconductor design are now fully established and steps are being taken to promote solar industries.